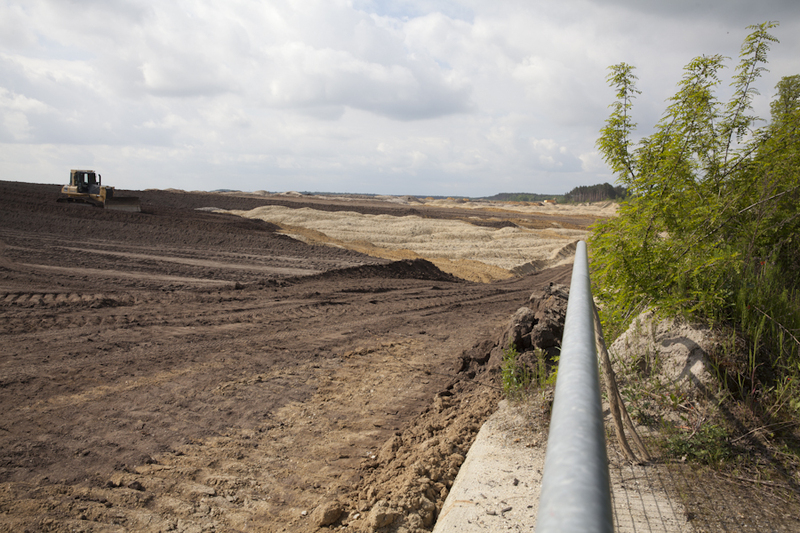 On June 3rd the governement of Brandenburg followed the recommendation of the Brown Coal Committee of April 28th and approved the plans to expand the open pit mining Welzow-South part II. 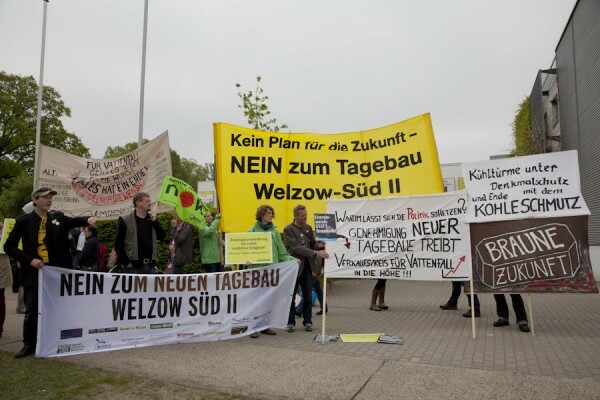 That means that the 800 citizens of Proschim, Lindenfeld and a part of the town of Welzow only have judicial process left to save their homes and companies. 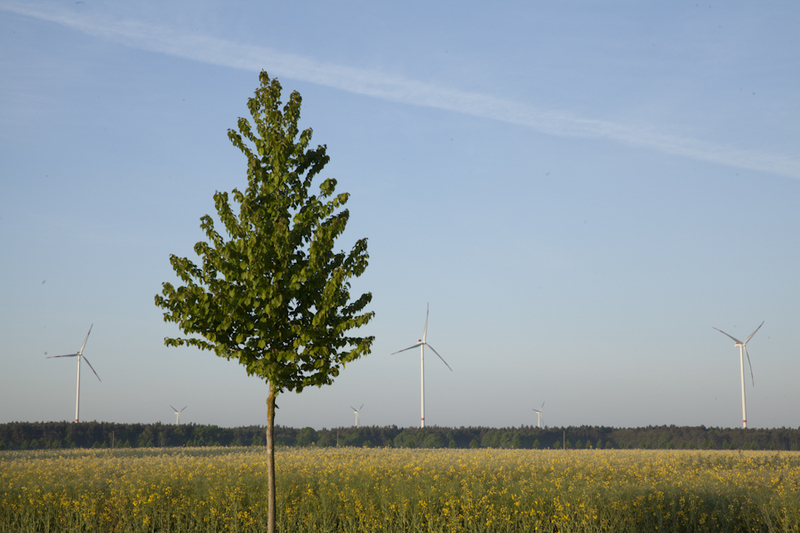 In Proschim this also affects a large agricultural holding with several solar power systems and a biogas plant. 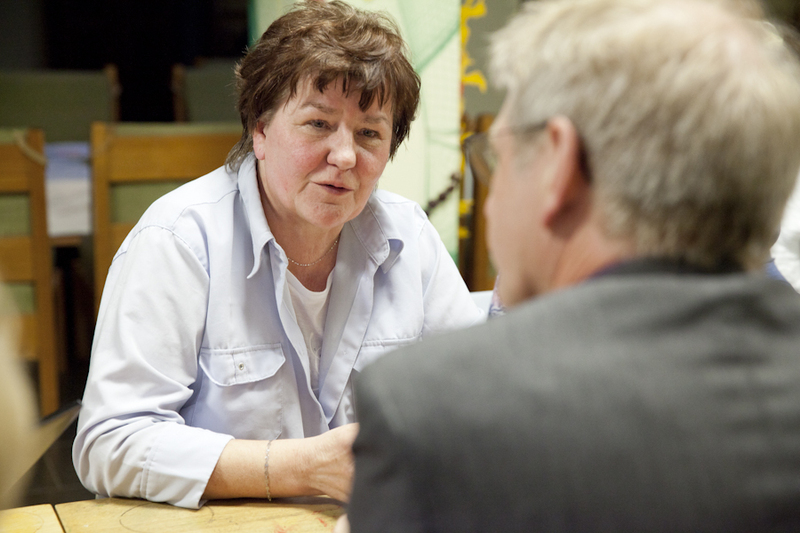 During the meeting of the Brown Coal Committee Petra Rösch, manager of the agricultural company group Proschim, called this the largest expropriation in the history of the Federal Republic of Germany. The many lakes in Lusatia seem idyllic. However the risk can’t be eliminated that areas need to be closed for the people due to the dangers from acidification, iron hydroxide deposition and landslides. The extraction of coal from subfield II and the future flooding after the end of the coal extraction will turn the town of Welzow into a peninsula and the village Lieske will become a thin strip of land between two lakes. Some homeowners close to the open pit mining already note damage of their houses. Requests for compensation have been unsuccessful so far because the Vattenfall company claims that those are structural damages not mining damages. „Although the individual houses were built for example in 1903 or 1930 or 2000 the damages started in the year 2004 on all of them at the same time“, says Hannelore Wodtke, who co-founded a network (Verein Netzwerk Bergbaugeschädigter e.V. der Lausitzer Braunkohleregion) for seeking compensation for mining damage on May 8th 2014 together with representatives from other towns and villages affected by mining. Their goal is to establish a board of arbitration that will examine the damages with neutral reports to do the people justice.